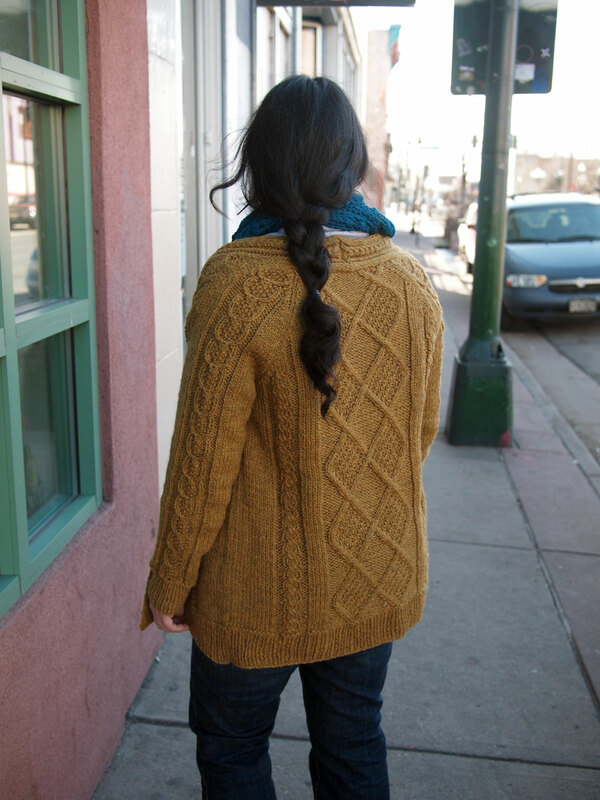 We've been cardigan-crazy around here lately, and the current favorite is the Aidez cardigan by Cirilia Rose. Angelique started the frenzy with her pretty, mustard yellow, cable bedecked cardigan. I learned of the Aidez through the Anthropologie Knits group on Ravelry; they were doing a knitalong and after falling in love with those crazy cables, I had to knit one up for myself. Lucky for me there were already a couple dozen finished cardigans, so I was able to modify my sweater to fit perfectly by increasing the sleeve circumference and armhole depth. The knitting only took a couple of days but mustering up the courage to start seaming took about two weeks... however it was well worth it! I've been wearing this sweater non-stop this winter and get compliments on it everywhere I go! 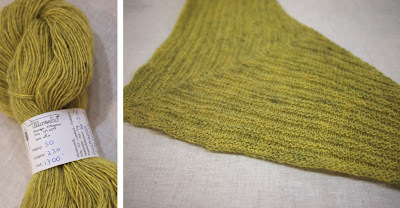 I used Cascade Eco+ in the Straw colorway (I'm obsessed with ochre at the moment) and it took just over two skeins so it was an incredibly affordable knit. Dépêchez-vous et faire une Aidez aujour'hui! Angelique's amazing Aidez cardigan totally inspired me to make one of my very own. Cirilia Rose's pattern was quick and fun to knit. The cables kept me interested, but they weren't too complicated to keep track of after a repeat or two. Now that I'm finished, I kind of miss knitting it...perhaps I need an oatmeal Aidez too? Aidez moi, I'm addicted! For my cardigan I used Peace Fleece worsted yarn--my current favorite sweater yarn--in the colorway Kamchatka Sea Moss. It is so durable that you can wear your handknit sweater every day and it holds up beautifully with no pilling. (I've actually been wearing this cardigan almost daily since it came off the needles!) 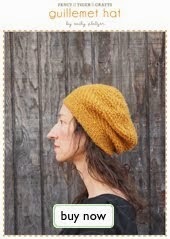 I love the tweedy look and the stitch definition this yarn gives. The company behind Peace Fleece yarn is amazing, too. They began in 1985, working with and bringing together people in countries that were historically enemies, with a mission to create understanding and friendship through trade. You can check out their story here. I ♥ them. 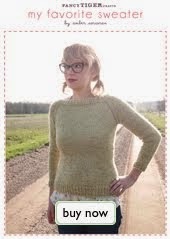 If you want to knit your own Aidez visit the free pattern download! Jasmine stopped by to see us and brought some of her needlefelting in with her. 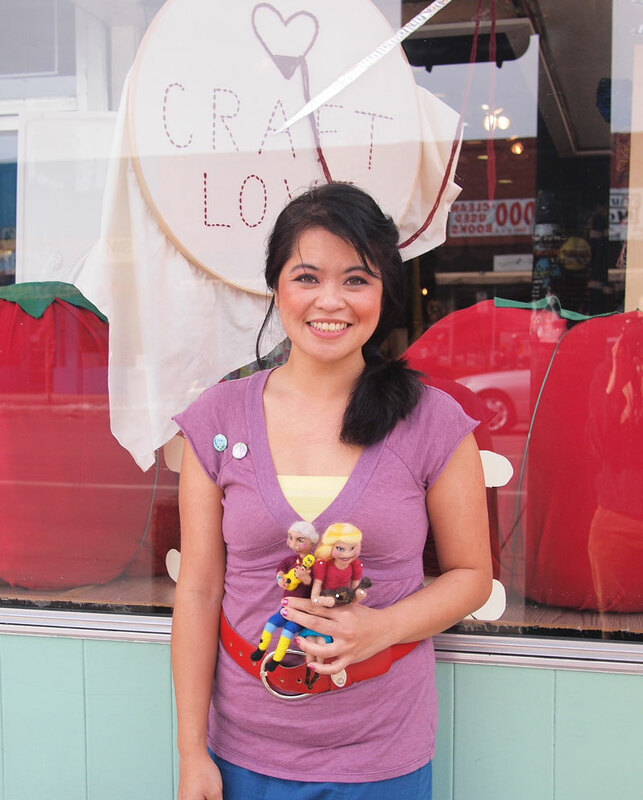 She is a ukulele player and she's been felting up some sweet ukulele inspire figures. 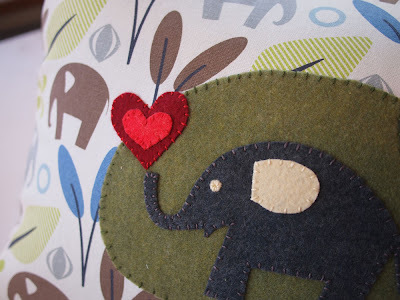 1) What inspires you to craft? I've always been a painter and an illustrator...until I discovered needlefelting! It's like painting a sculpture! ...And I love my ukulele! 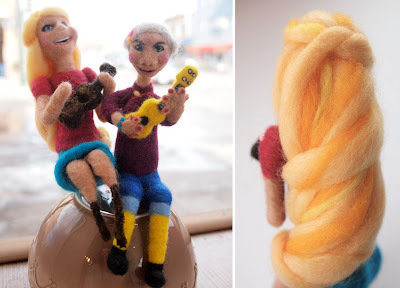 2) Tell us about your ukulele playing felted friends. I made them with wool roving and love. 3) How did learn to needlefelt? I found out about it in December. 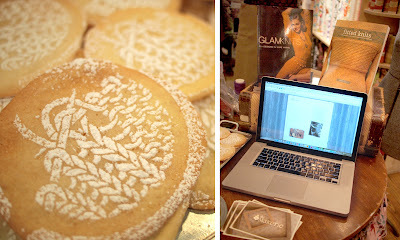 I discovered it at the Fancy Tiger Holiday Handmade Craft Fair. 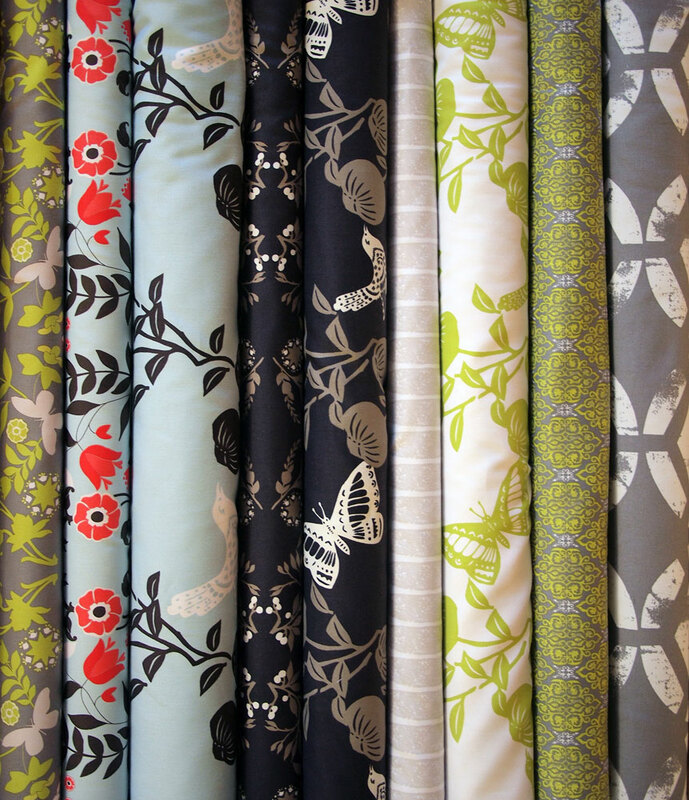 Cloud 9 Fabrics and Birch Fabrics are two amazing companies that focus solely on organic prints. We love being able to carry 100% organic cotton printed with low-impact dyes. To top off the awesomeness both companies support independent designers! 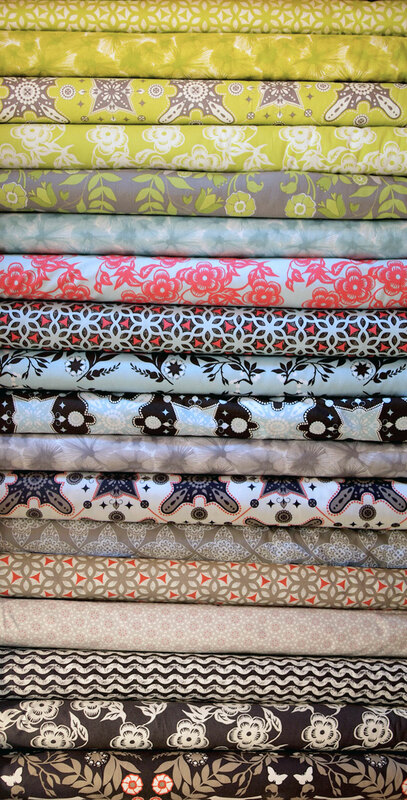 Ty Pennington's Impressions quilting cottons and home dec fabrics are here! This is a huge collection and the prints are all really beautiful and well designed. We love the color palette with its chartreuse, coral, charcoal and soft grey-blues. Jane Sasseman's new Garden Divas fabrics are bold and bright. We love the way she illustrates flowers and insects and birds, almost like stained glass windows or paper cutouts. 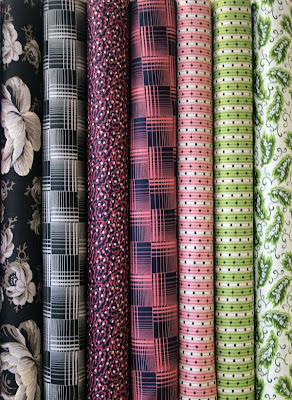 Denyse Schmidt's Greenfield Hill collection is a little bit 50s and a little bit goth. 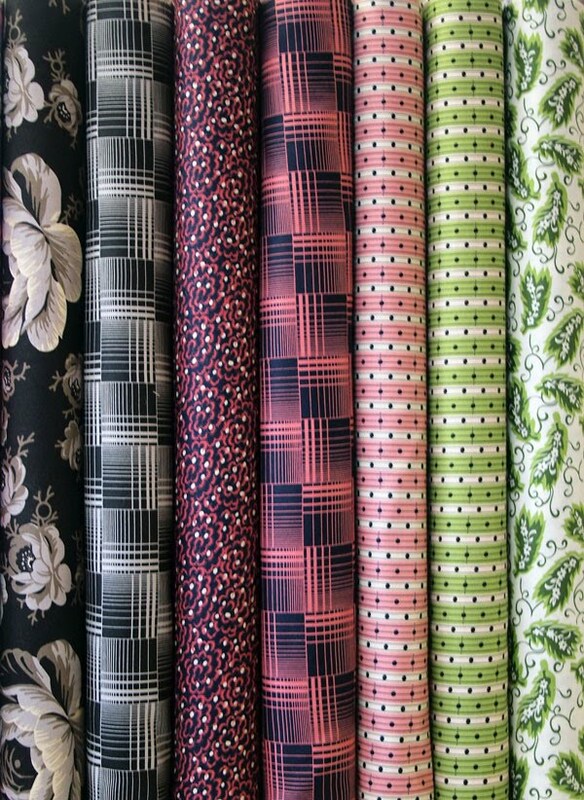 We are imagining some amazing mens shirts out of some of these prints...more on that soon. 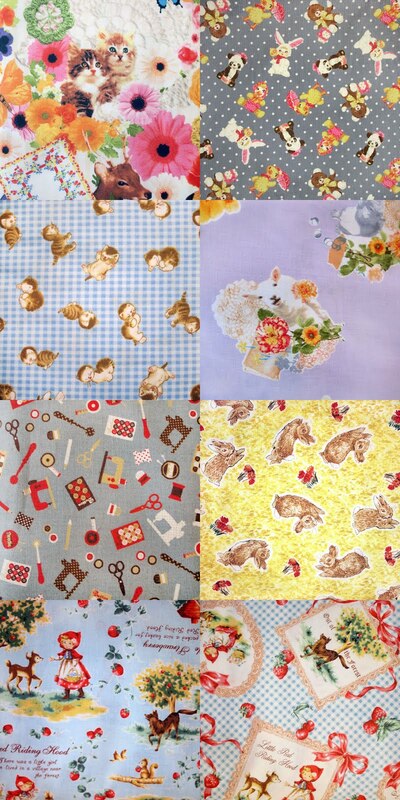 And I will end with some of my favorite new fabrics. I am a sucker for prints of tossed cute things. 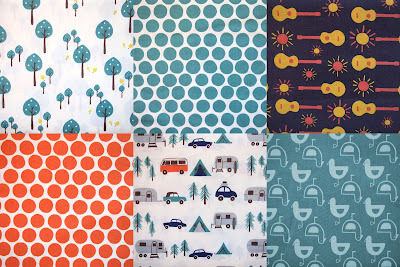 This mish-mash of new fabrics is from all different companies. Can you even handle the kitten heads? 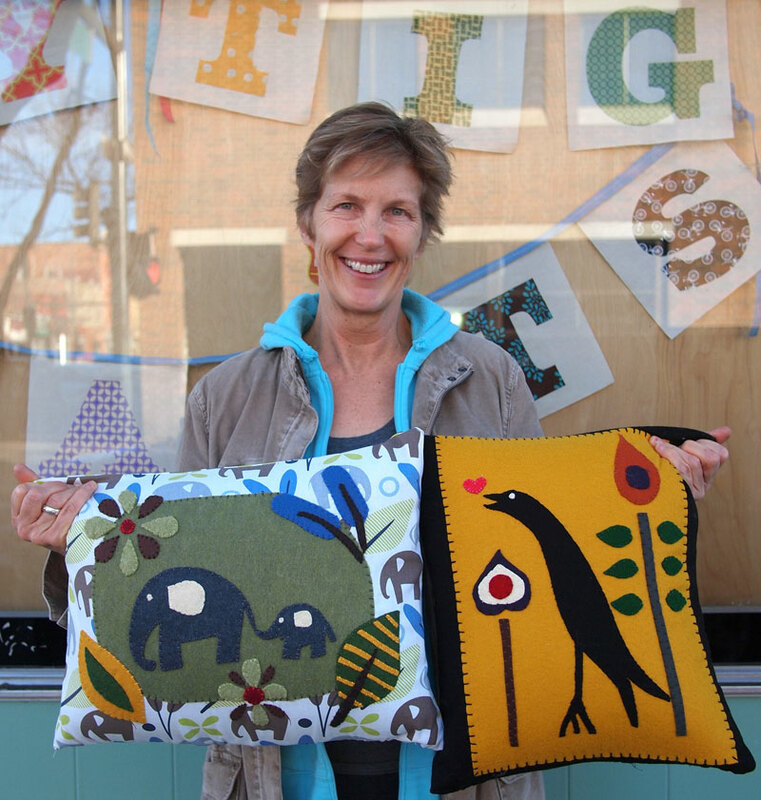 Nancy has been crafting up a storm with her appliqued felt pillows! 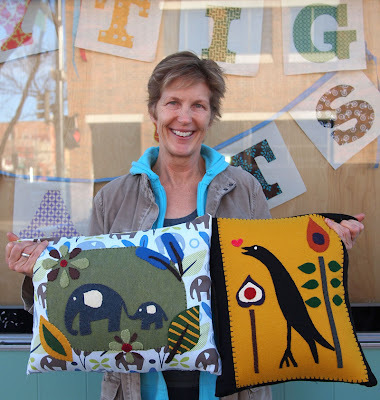 Each of them is a one of a kind creation and Nancy often uses her fabric choices to inspire the imagery she created on the pillows. Most of the pillows have applique on both sides. We love the detail and stitching! 1) What inspires you to be so crafty? I am a teacher. I cut, paste, and draw all day for my students. 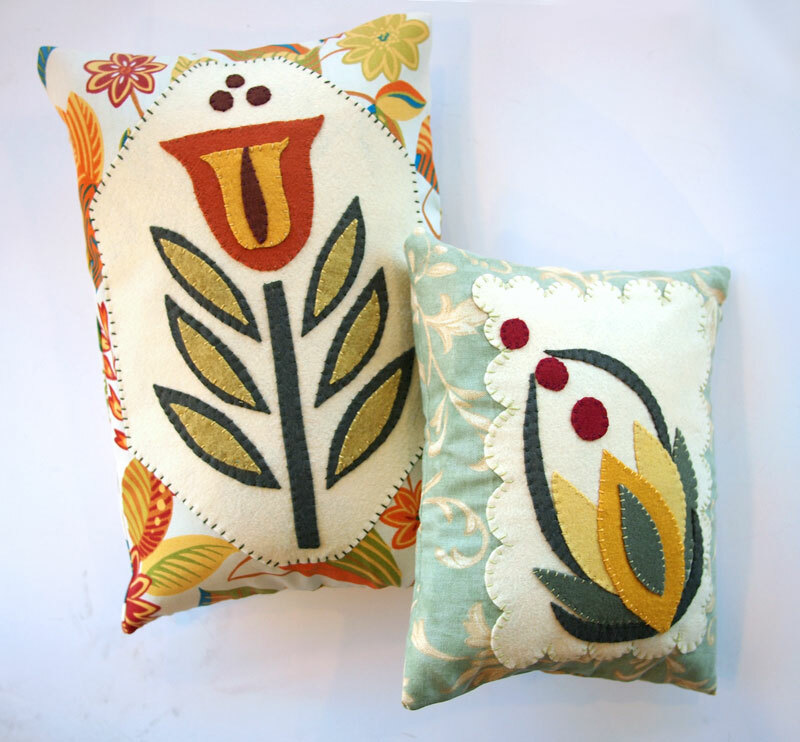 2) Tell us about the pillows you've been making. I am appliqueing onto pillows I've made. My patterns came out of my head. I use embroidery thread and wool felt. 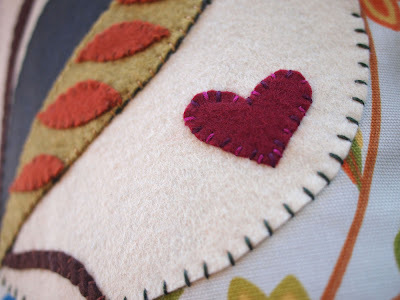 3) How did learn to applique? No one taught me how to do this--I just started doing it. It runs in my blood. Jade Sapphire hand-dyed cashmere is here! This yarn is the absolute softest thing we've ever touched. Jade Sapphire is a 100% Mongolian cashmere yarn--known for it's long staple length and extremely soft fiber, Mongolian cashmere is top notch! Did you know that one cashmere goat only produces about 150 grams of cashmere a year? 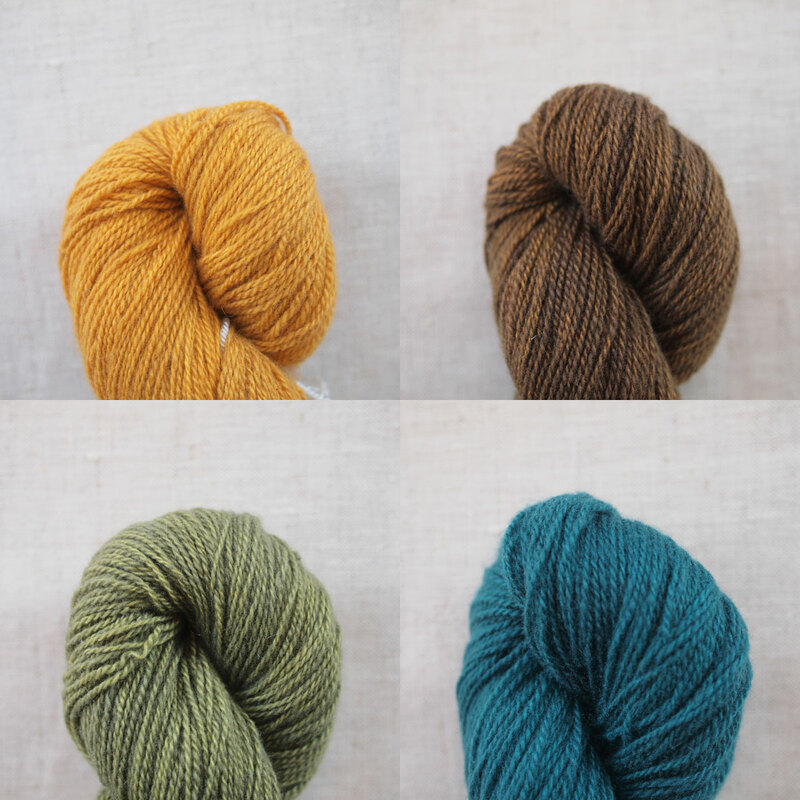 That is just 3 skeins of this luscious yarn! During the spring the cashmere goats moult, and their warm, downy undercoat is combed out by hand. It is then cleaned and any coarse hairs are removed, leaving this lofty, lightweight and super insulating fiber. It's pretty special! 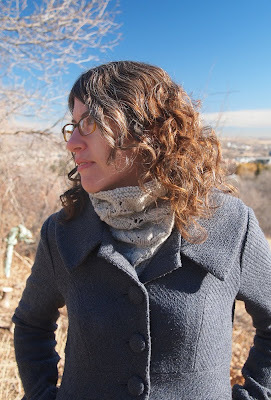 We love this free cashmere cowl pattern. 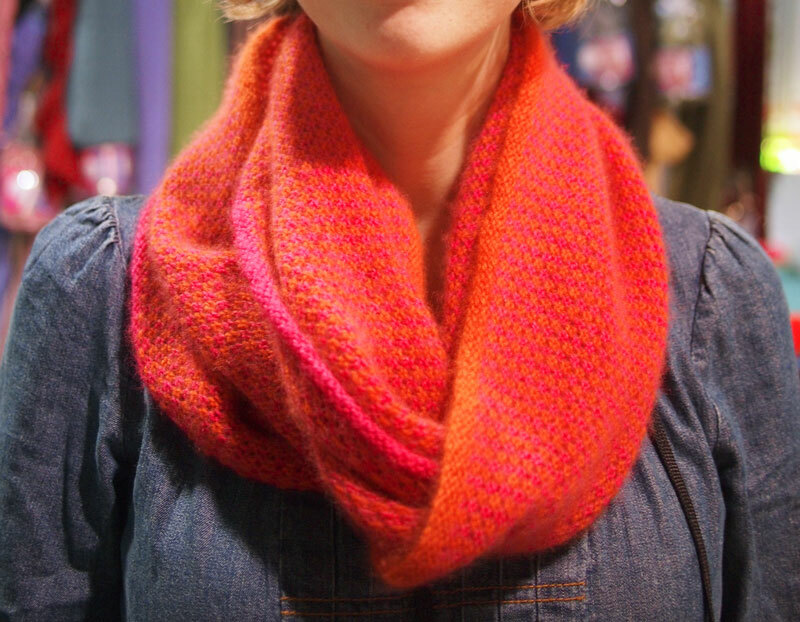 It's the same cowl that Amber fell in love with at TNNA and is a simple slip stitch colorwork pattern. 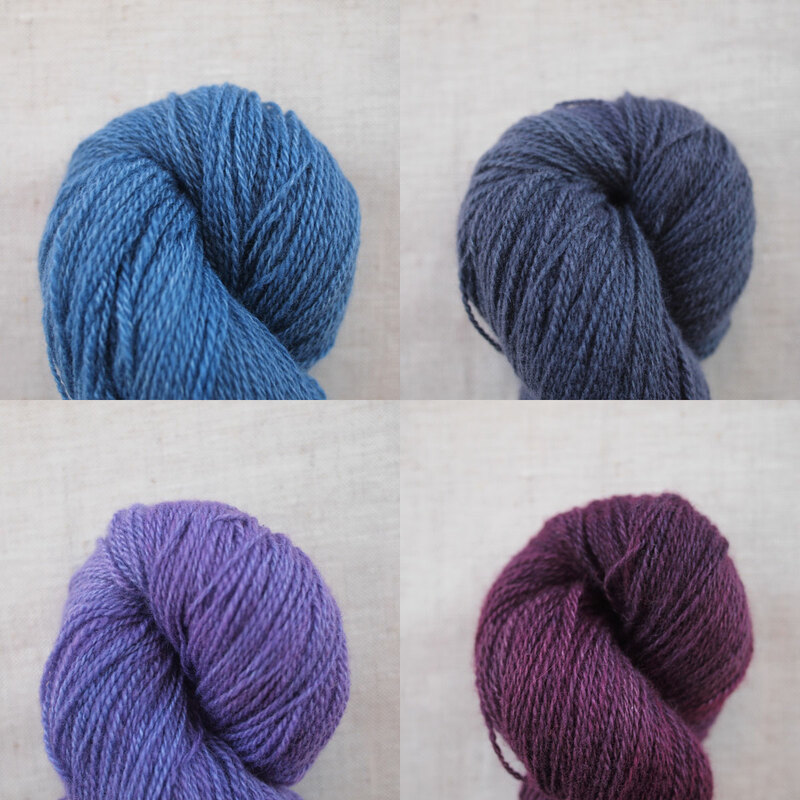 Just ask us and we'll give you a free copy when you purchase a skein or two of Jade Sapphire. We'd like to share a heartwarming story with you, a tale of crafts and a tale of love. 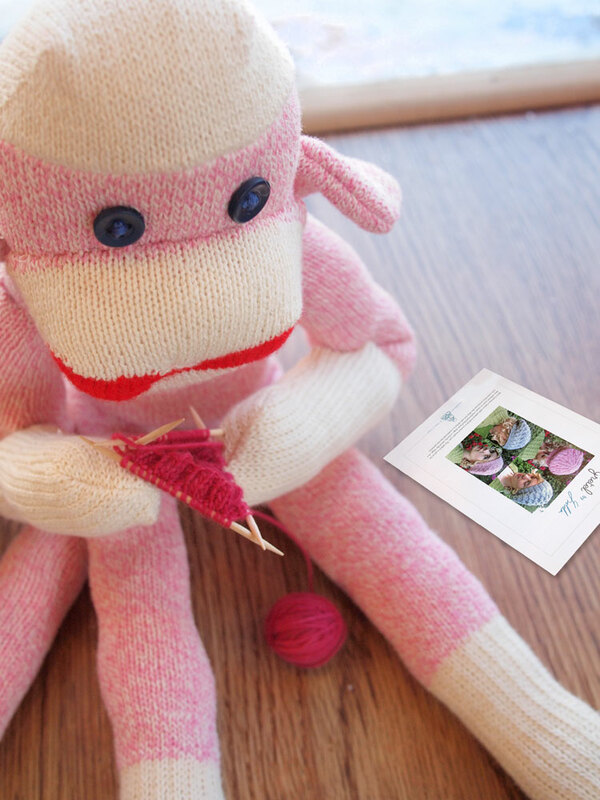 And of sock monkeys. Once upon a snowy day in February, Pearl the sock monkey sat inside wishing she had a woolen hat to keep her head warm. Being a crafty monkey, she set out to knit up a warm cabled hat. 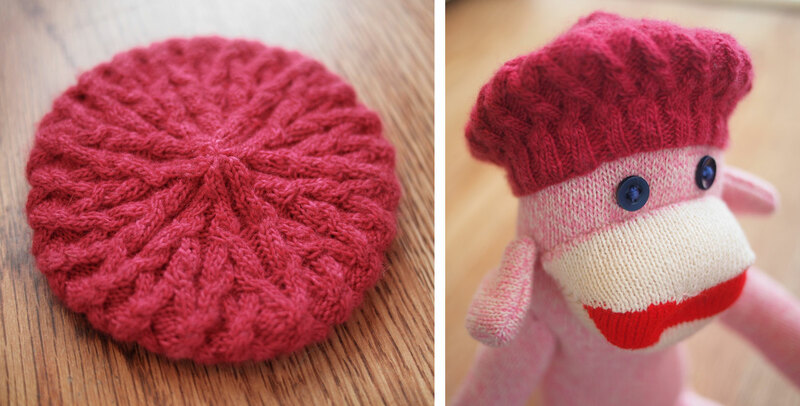 She chose the perfect shade of mulberry merino yarn to bring out the pink in her cheeks and a flattering cabled beret pattern--Gretel by Ysolda Teague. Pearl is quite the avid knitter and was finished in time to enjoy the fresh snow fall. She donned her perfect little Gretel, smiled, and set out to enjoy her favorite snowy day pastime, snow angel-making! Suddenly around the corner came a handsome fellow. 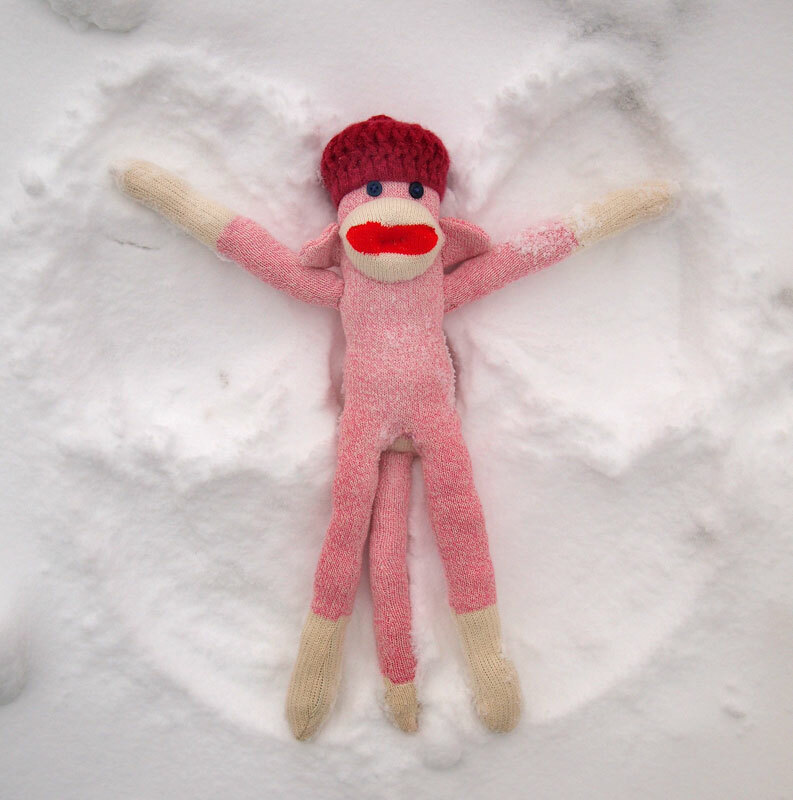 Jack the sock monkey also enjoyed a snowy day and became immediately smitten when he saw Pearl making angels in the snow. Pearl blushed at being caught playing in the snow by herself. "Your rosy cheeks give you away. You need a hot drink to warm you after a day in the snow," said Jack. She joined him and together they walked to the local coffee house, Metropolis, where Jack ordered a latte for two from the barista. It was a perfect afternoon and by the end of the day two sock monkeys were in love. 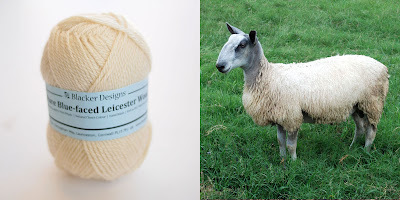 You may know that we at Fancy Tiger can get really nerdy about sheep breeds. 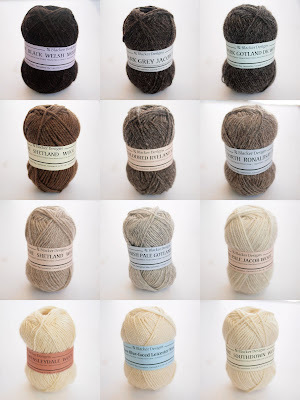 It has been a long time goal of ours to carry un-dyed yarns of various heritage breeds. Our dreams have finally come true! 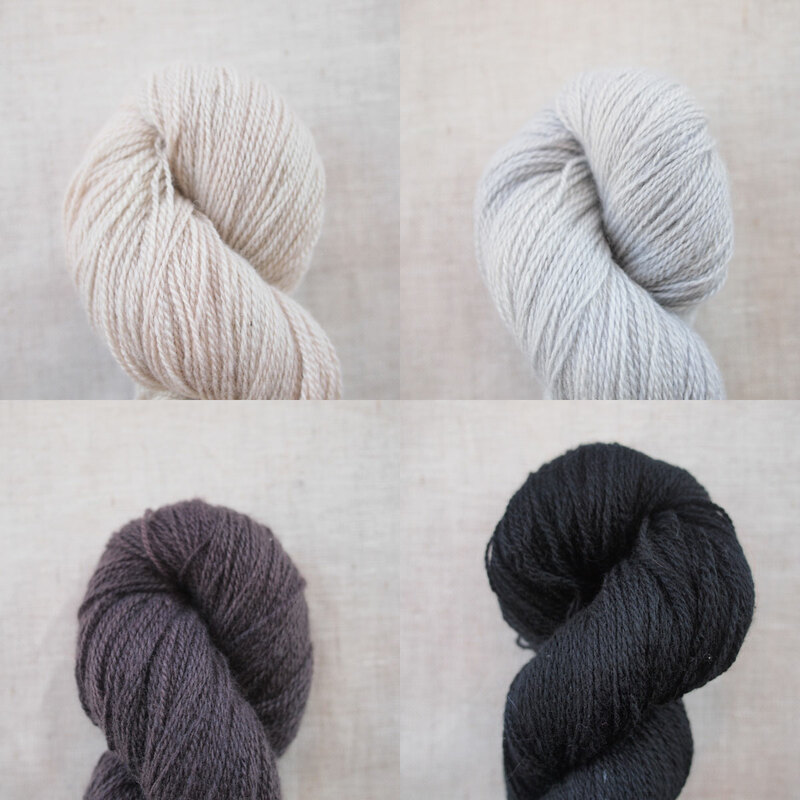 We are very proud to introduce Blacker Yarns pure breed wools. 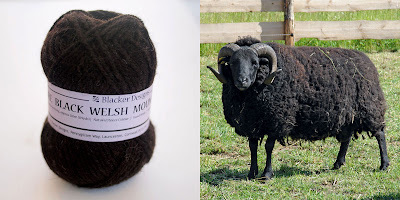 A UK company that works with and supports small sheep farmers by giving them premium prices for their wool, Blacker mills the fleeces themselves, making yarns that wonderfully represent the qualities of the wool of various traditional breeds. May we introduce you to some of these cuties? Amber's favorite breed because of their cute smiling faces, the Southdown sheep is one of the oldest purebred sheep in the world and originated in Sussex, England. One of the smallest breeds of sheep, the Shetland is originally from the Shetland Isles. 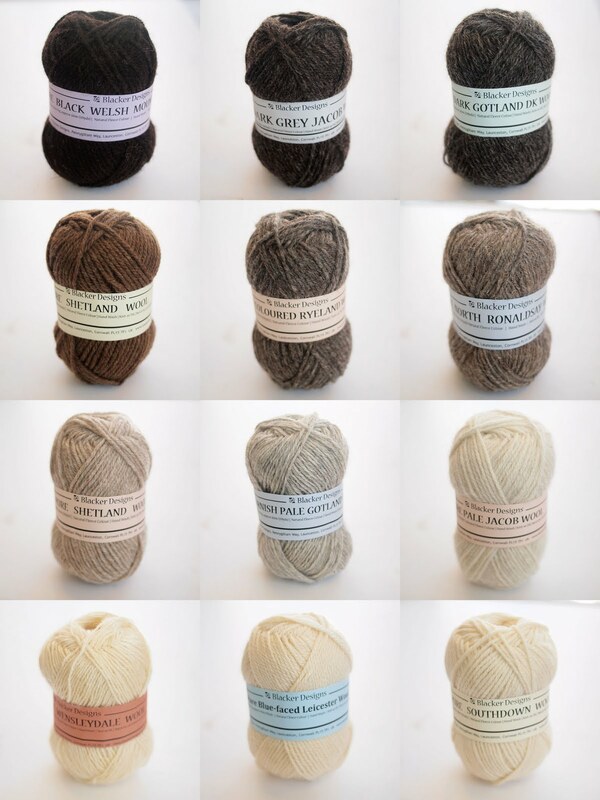 The wool comes in eight distinct colors and is considered one of the finest wools in the British Isles. We are stocking it in the natural colors, fawn and moorit. These sheep are quite little and almost resemble teddy bears. The fleece is fine, crimpy and warm. We are stocking Ryeland in a natural heathered grey-brown. A rare sheep that grazes on seaweed, the North Ronaldsey sheep is mainly found on the island for which they are named. They are small sheep with strong wills. We are stocking it in two beautiful natural shades. Jacob sheep have distinctive dark brown and white fleece. They are an ancient breed of horned sheep that can have up to six horns. The two colors of their fleece are sorted to create up to five different shades of grey--brown and white together appears grey! These beautiful tall and elegant sheep have long shiny coats with fine wavy wool. 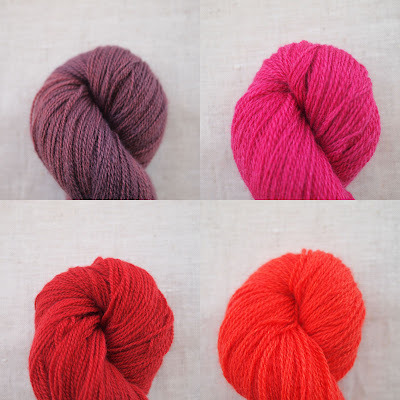 This yarn is the most lustrous of all the wools and is incredibly soft. Gotland is a Swedish breed developed by the Vikings on the island of Gotland over 1,000 years ago. This breed is Jaime's favorite because of it's lustrous grey wool and it's magical properties. The Gotland wool is the exclusive wool used for the Elvin cloaks in the Lord of the Rings films. 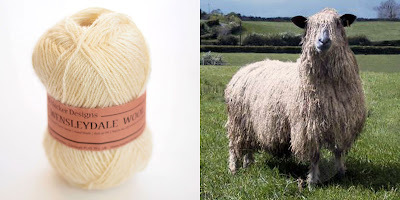 Blue-Faced is known for its lovely, fine soft wool. The softness is comparable to Merino, but it has a beautiful loft and lustre. The breed has a distinctive Roman nose which gives them an aristocratic air. Black Welsh produce a near black fleece that is best for outerwear, as the beautiful dark colored wool is coarse and durable. We are so excited about this beautiful palette of natural colors and textures and we can't wait to see what you make! Stefanie Japel, lovely lady and fabulous knitter, visited us last weekend! 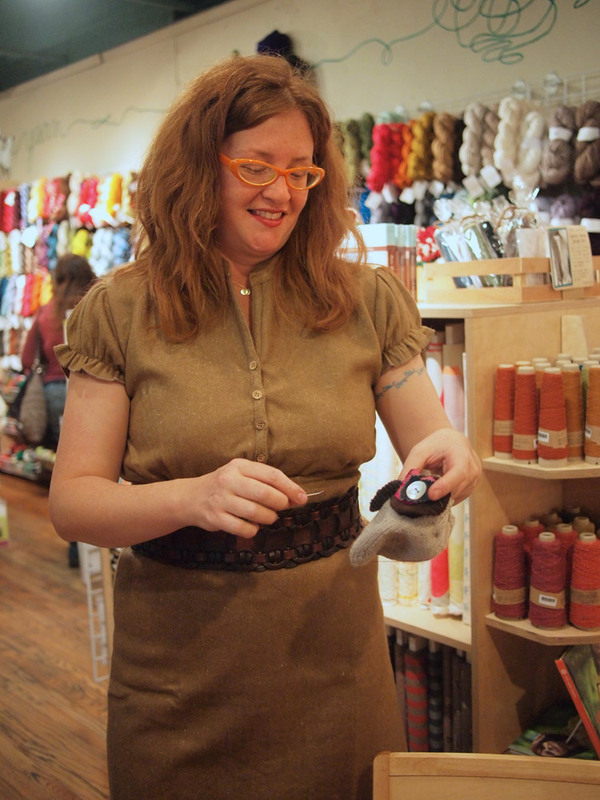 She shared some tips on embellishing your handknits and signed copies of her books, Glam Knits and Fitted Knits. We had a blast and can't wait to see her again at The Makerie retreat in April! Ali of The Makerie baked the most delicious sugar cookies. Jaime and I were super excited to finally use this cookie/coffee stencil of a knitting diagram which we brought back from Iceland. The cookies were almost too cute to eat! 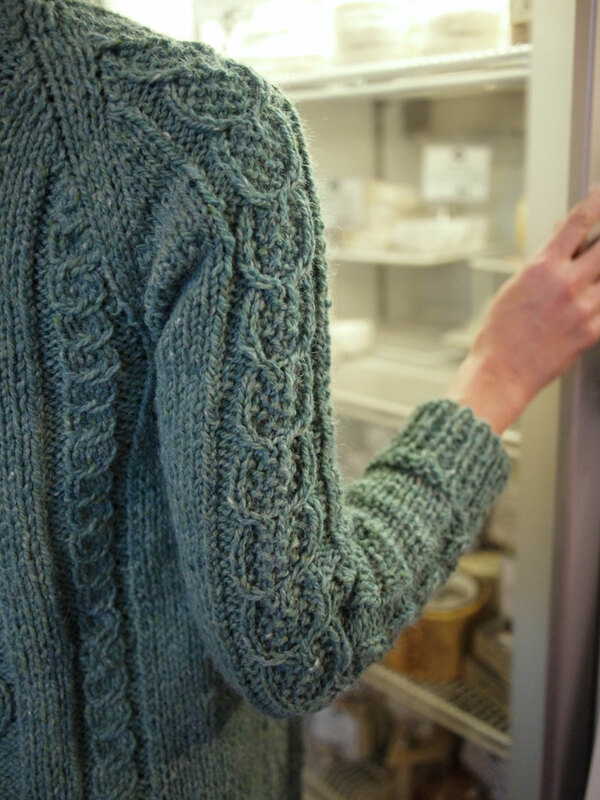 We have all been busy working on epic knitting projects this winter so our project posts have been sparse. 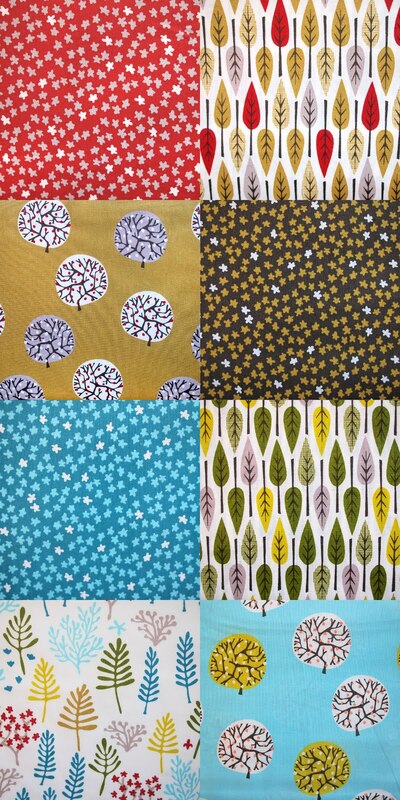 I did take some time to whip up a couple of small projects last month that both used patterns from Jared Flood. If you're not familiar with Jared Flood, his stunning photography has made him famous among knitters. He designs sophisticated patterns and now has his own line of US grown yarns that we are dying to get our hands on. Have you heard how in love I am with yellow right now? I came back from Iceland with a suitcase full of yellow yarn! This project is the Romney Kerchief from Jared Flood's blog. While he does not write out the pattern, Jared gives plenty of details as to how he made this simple triangle shawl and it was easy for me to figure out. 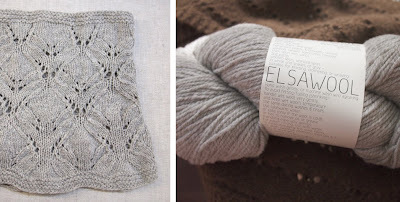 I picked up this lichen-dyed Lopi lace yarn in Iceland and was looking for the perfect pattern for it. I love how simple this pattern is - perfect to show off the rich color and texture of the yarn. I love my Lopi Kerchief! In October we went to the Taos Wool Market and I fell in love with the un-dyed yarns from Elsa Wools. Their yarns are all made from Cormo wool sourced from Colorado and Montana and are US milled. 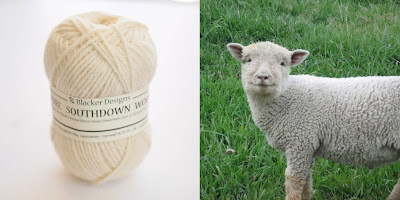 The woolen-spun Cormo yarn is springy and soft. 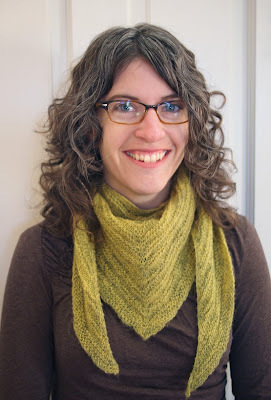 I decided on knitting Jared's Ptarmigan cowl pattern. I wanted something that would knit up quick during the busy holidays. 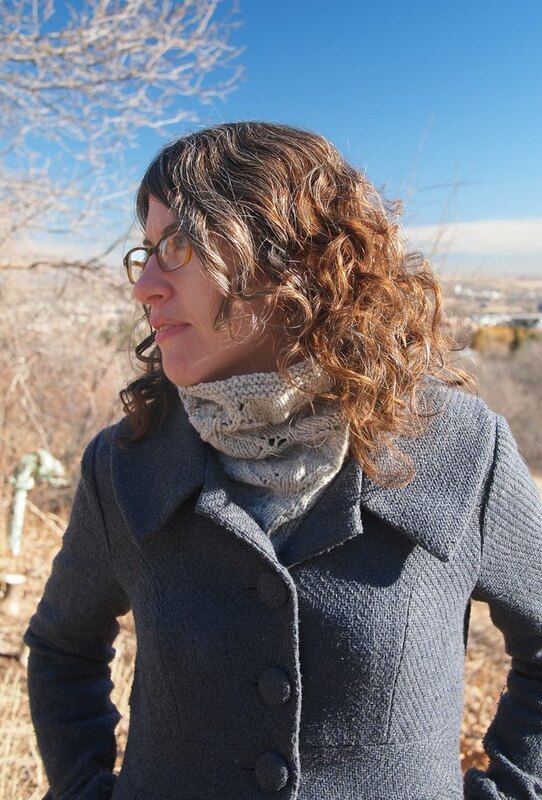 This cowl is super warm and the lace pattern looks great in the pale un-dyed gray of the wool. 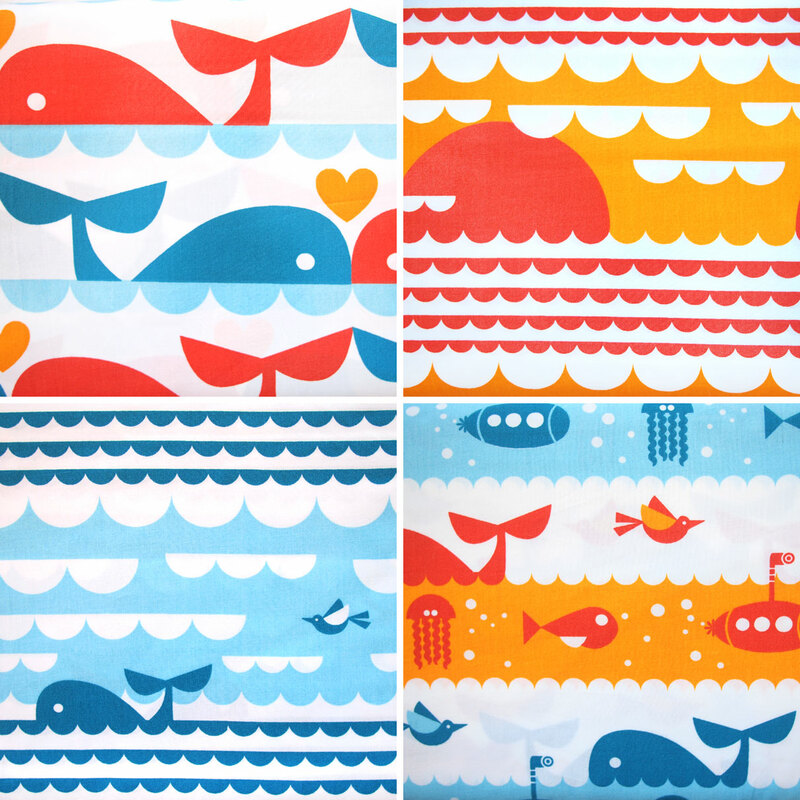 First Friday: Stefanie Japel and the Makerie! 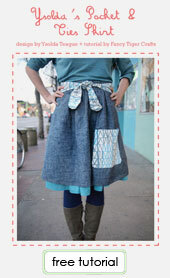 Fancy Tiger Crafts is pleased to be hosting Stefanie Japel and the Makerie this First Friday! Join us for treats, libations and fun times! 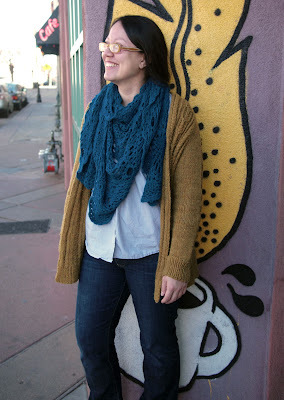 Stefanie Japel is an amazing knitter and author of the books Glam Knits and Fitted Knits. Ms. Japel will be signing copies of her books as well as demonstrating techniques for knitted embellishments. You will also find her teaching knitting workshops this April at the Makerie, Boulder's upcoming creative retreat! The Makerie is a creative retreat launching in Boulder, CO this spring! 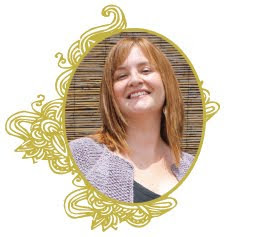 Ali from the Makerie will be on hand this Friday to answer questions about the retreat. 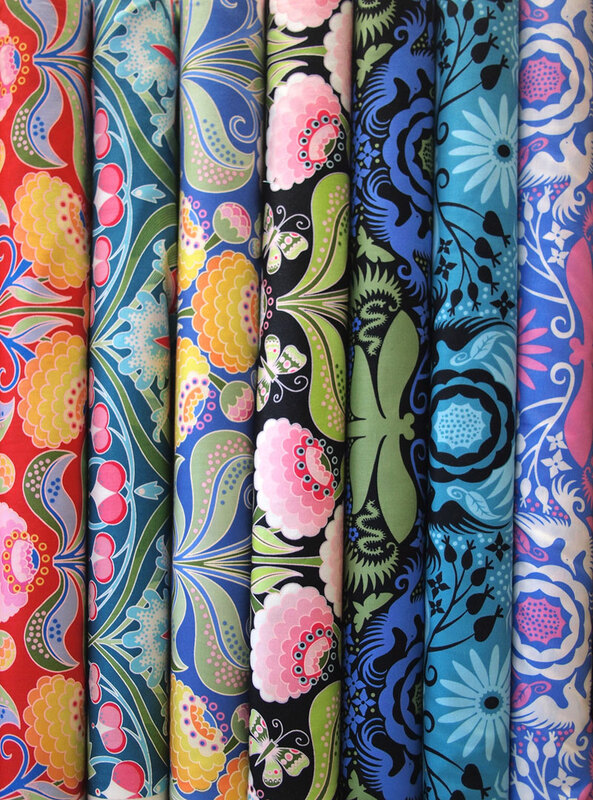 The Makerie will be full of amazing crafty workshops in sewing, embroidery, knitting, painting, block printing, photography, pattern making and more, and is designed for ANYONE who loves to be creative, wants to be more creative or dreams of being creative. The Makerie has an amazing line-up of teachers from around the country for this inaugural year. In addition to the classes, there will be wake-up yoga &/or hiking, as well as healthy, organic & local yummy foods. People will have the chance to stay in cozy cottages, eat communal meals together & simply be part of a fun, creative community for a few days. 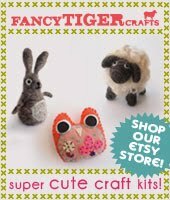 Fancy Tiger Crafts is excited to be there, too! 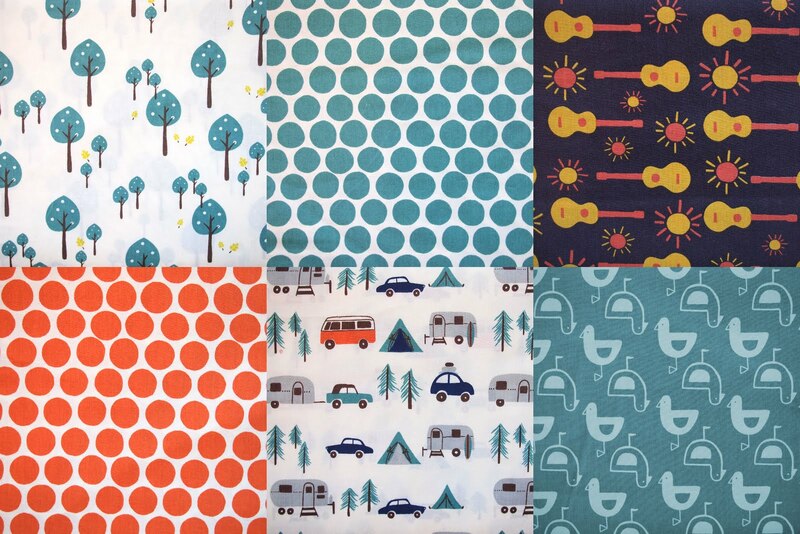 A Fancy Tiger pop-up store will be open during the retreat for campers and Boulder folks to shop for crafting supplies.